Melvyn Bragg and guests discuss the Siege of Munster in 1534-35, when radical Anabaptists tried to create the 'New Jerusalem' in a small German town, with horrific consequences. Melvyn Bragg and guests Diarmaid MacCulloch, Lucy Wooding and Charlotte Methuen discuss the Siege of Munster in 1534-35.In the early 16th century, the Protestant Reformation revolutionised Christian belief. But one radical group of believers stood out. The Anabaptists rejected infant baptism and formal clergy, and believed that all goods should be held in common. They were also convinced that the Second Coming was imminent.In 1534, in the north-western German city of Munster, a group of Anabaptists attempted to establish the 'New Jerusalem', ready for the Last Days before the coming Apocalypse. But the city was besieged by its ousted Prince-Bishop, and under the reign of its self-appointed King, a 25-year-old Dutchman called Jan van Leyden, it descended into tyranny. 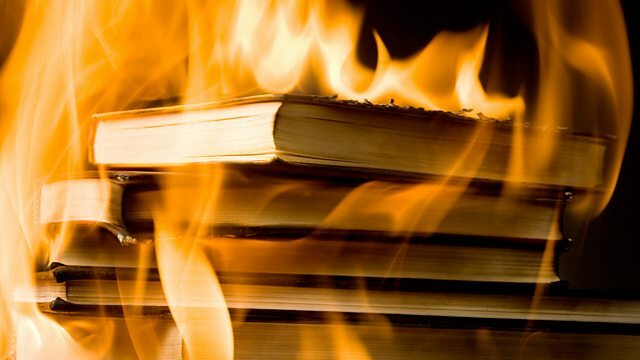 Books were burned, dissenters were executed and women were forced to marry. As starvation spread, King Jan lived in luxury with his 16 wives. The horrors of Munster have resonated through the European memory ever since. Diarmaid MacCulloch is Professor of the History of the Church at the University of Oxford; Charlotte Methuen is University Research Lecturer in Ecclesiastical History at the University of Oxford and Lecturer in Church History and Liturgy at Ripon College Cuddesdon; Lucy Wooding is Lecturer in Early Modern History at King's College, London.